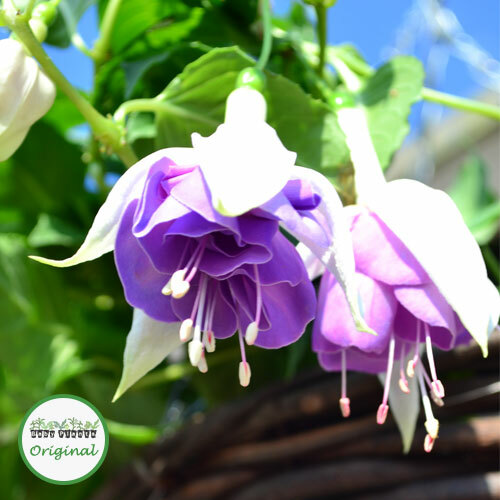 Cecile is a giant Fuchsia with large double flowers. 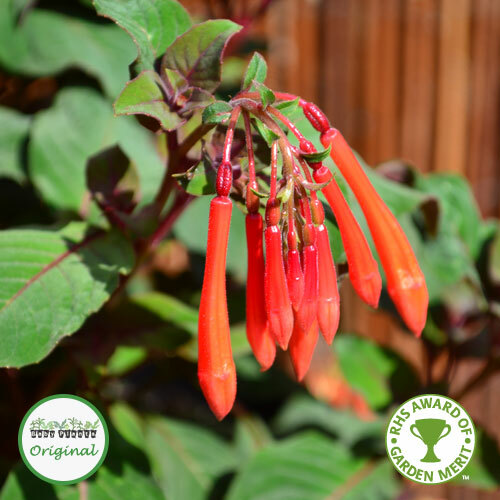 It has very little upright growth compared to other giant fuchsia, resulting in trails of up to 100cm. 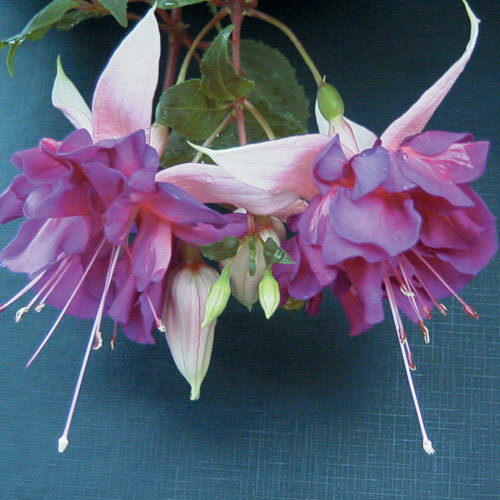 Giant Fuchsias are excellent value as they grow quickly and vigorously. 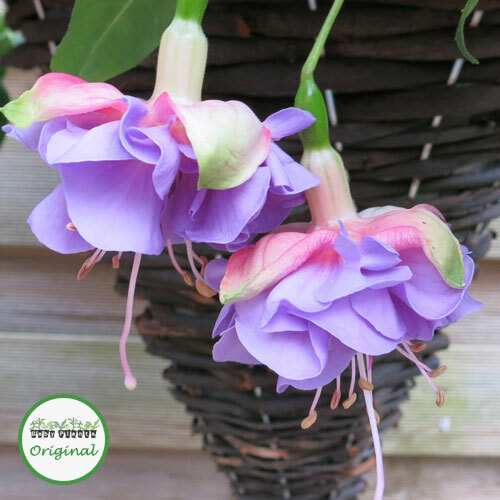 To fill a 12″ or 30cm hanging basket you will only need 3 giant Fuchsia plugs. 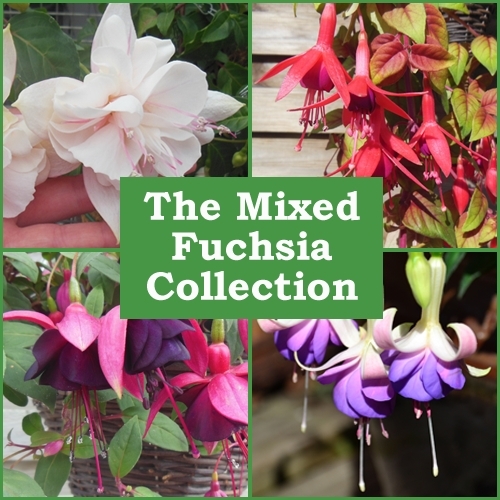 If you are using giant Fuchsias in mixed baskets or tubs, plant them with other vigorous trailers, such as Surfinias?, Lobelia or Helichrysum, to prevent them from dominating the basket.